Just wanted to send a note to say what a great time we had golfing in Scotland. 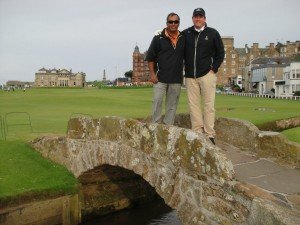 Thanks to you and Golf Vacations UK the trip was very enjoyable. The rental car, hotels and golf tee-times were just perfect. The trip wouldn’t have been the same without your help and attention to detail. Thanks again for helping us make this a truly memorable experience.